Do Our Lack of Definitions of Sexual Harassment Lead to Underreporting in the Workplace? HOUSTON, Texas. The U.S. Equal Employment Opportunity Commission defines sexual harassment as “unwelcome sexual advances, requests for sexual favors, and other verbal or physical harassment of a sexual nature.” However, the law has some gray areas. For example, the law doesn’t protect women from “simple teasing, offhand comments, or isolated incidents.” Under the law, sexual harassment must be pervasive and severe and create a negative workplace environment. Some claim that the definitions are too vague, or are intentionally vague, allowing some incidents of sexual harassment to fall under the radar or evade prosecution. After major technology companies like Uber and Google have come under fire for their internal responses to sexual harassment, many companies are shifting how they approach the issue. According to QZ, Uber recently released a report where it outlined 21 distinct “categories” of sexual harassment. QZ reports that the company worked with the National Sexual Violence Resource Center to develop the list. However, QZ notes that the list isn’t designed to be used in the context of the workplace. Uber claims that a lack of common definitions of what constitutes sexual assault and violence is one of the reasons why sexual harassment in the workplace goes underreported. Uber’s legal officers note that there is no clear criminal definition of what constitutes sexual assault. Could a clearer common definition of what constitutes sexual assault and harassment help companies and police prosecute offenders? Certainly, the vague language of the current law leaves a great deal up to interpretation. After all, what constitutes “pervasive” sexual harassment? At what point does simple teasing cross the line into sexual harassment that creates a hostile work environment? Technology companies have faced backlash from women and the general community for forcing women and individuals who have suffered sexual harassment in the workplace to arbitrate claims. Thanks to recent backlash, major technology companies recently announced that they would no longer require their employees to arbitrate sexual harassment claims in private. So, how does Uber’s report break down sexual misconduct? In Uber’s report, leering, flirting, making sexually suggestive comments, requests for physical contact or engaging in unwanted digital or phone contact is defined among the list of harmful actions. Sexual assault is defined as any unwanted touching or physical contact or violent threats. While Uber’s report is a step in the right direction as far as initiating an important conversation about what constitutes sexual harassment and assault, the categories won’t be effective unless companies enforce infractions. If you believe you have suffered because of sexual harassment or assault in the workplace, you may have certain rights under the law. 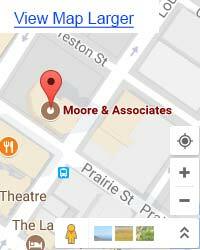 Moore & Associates are Houston, Texas employment law attorneys who work with women and individuals who have faced retaliation, been passed up for promotions, or suffered because of workplace harassment. You may have the right to seek compensation for your losses if you have suffered because of workplace harassment. Visit us at https://www.mooreandassociates.net/ to learn more.